The Critical Information Summary sets out the important information about the service you selected. Download PDF Your browser does not support iframes. Fill in your details and we will contact you with the most amazing NBN Bundle offer as soon as your business is NBN ready. Thank you for submitting your details. We will be in touch shortly. Unfortunately an error has occurred when processing your request. Please try again in a few minutes. If you continue to experience the same problem, please contact TPG on 1300 720 016 for further assistance. * Are you an existing TPG customer? A Static IP is included with your Business NBN plan, enabling a host of networking solutions. 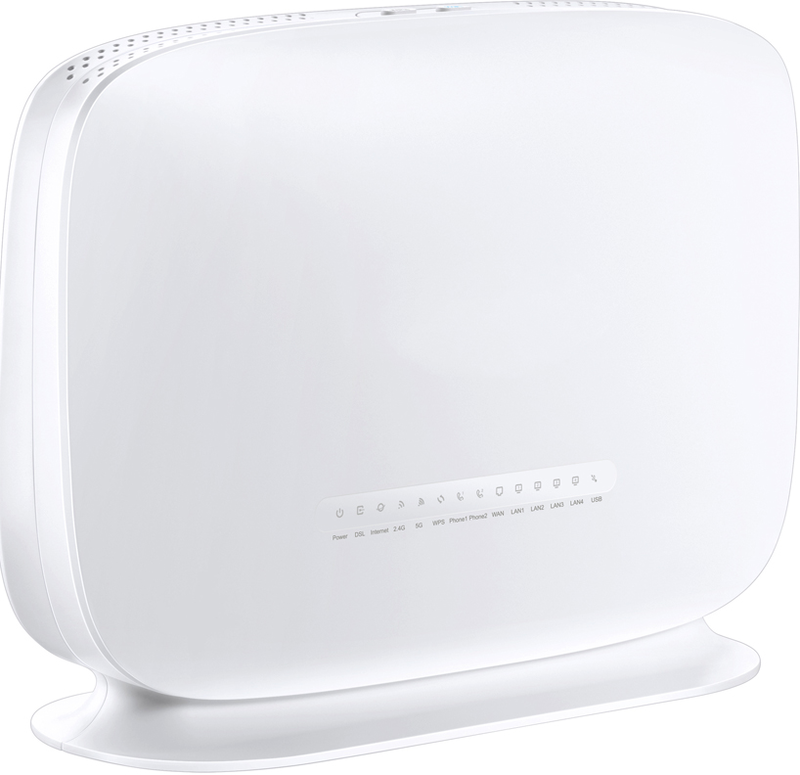 Our NBN bundles include a dual band 802.11ac Wi-Fi modem which provides amazing Wi-Fi speed and coverage. Go no lock-in contract or enjoy free setup on an 18 month contract. Both NBN deals come with Wi-Fi modem included. Move up or down your plan anytime without any change fee, keep your existing phone number or get a new one at signup. Unlimited NBN plans are suited for businesses with high demand for data. Compliment your Business NBN plan with Bizphone. Bizphone is a voice service solution packed with features designed for small business use. Makes and models of modems supplied are subject to availability. Equipment delivery is optional - A $10 fee applies. Where you purchase equipment from TPG as a consumer within the meaning of the Competition and Consumer Act, 2010, that Act creates certain warranties which will apply in respect of the equipment. The NBN rollout map is based on information provided by nbn™ and is intended to be used as a guide only. TPG NBN Bundle may not be available in your area even if it is shown as NBN serviceable on NBN rollout map. To find out if you can get connected to TPG NBN bundle, please check TPG nbn availability here. TPG defines a Local Call to be a call made to a number in the same Standard Zone Unit or an adjacent Standard Zone Unit. Allows you to divert calls from your TPG Voice Service number to a different number more Standard call rates apply to forwarded calls. Call forwarding for bundles explained. Please note Call Forwarding features will not work if you have barred outgoing national long distance calls. This feature is free to customers on NBN Bundle Plans. With Number Display/Number Block, you can select whether you would like your phone number displayed or blocked when calling other parties. Call Waiting notifies you if someone is calling on your TPG Voice Service while you are already on a call. You can place the first call on hold to answer the second incoming call, and switch back again. To use this feature your phone will need to have either the 'recall' or 'flash' button. This feature is ready to use and doesn't require activation. If you hear a beep while on a call, you simply press the 'Recall' or 'Flash' button to switch to the second call. Once finished you simply press 'Recall' or 'Flash' button again to return to the original call. Call Forwarding allows you to divert calls from your TPG Voice Service number to a different number. Please note 'Divert if no reply' will not work if you have chosen to divert all incoming calls. Call forwarding to international numbers is not supported. Standard call rates apply to forwarded calls. Call forwarding for Bundles and Add-ons explained. Caller ID allows you to see the phone number of the person calling you on your TPG Voice Service. This feature is only applicable on the phones that supports Caller ID. Please note not every number will show up, unlisted numbers, numbers blocked by the caller, international calls or calls from some areas within Australia will appear as PRIVATE or UNAVAILABLE. Only available in selected coverage areas. Please check availability in your area. Further availability checks will be conducted upon registration. (contract term x $(NBN Bundle monthly charge) + Setup + $20 Prepayment + $10 Equipment Delivery Fee). Additional once off $300 nbn™ New Development Charge applies if your premises is identified by nbn™ as being within the site boundary of a new development. Early termination fees apply. Typical Business Hours Download Speed is measured between 9am and 5pm. The actual speeds for the service may be slower and vary due to many factors including type/source of content being downloaded, hardware and software configuration, the number of users and performance of interconnecting infrastructure not operated by TPG. Devices connected by Wi-Fi may experience slower speeds than those connected by Ethernet cable. For FTTB, FTTN and FTTC customers, we will inform you of your maximum line sync speed once available. If you are on a higher speed NBN plan, you have the option to downgrade to a lower speed plan without any penalties. Above monthly charge and setup pricing is based on customers agreeing to waive the Customer Service Guarantee (CSG). For more information please contact TPG Business Solutions Team on 1300 365 313. After you have submitted your order, TPG will confirm if an installation appointment is needed. If an installation appointment is needed, TPG will organise this and contact you with the appointment details. You or an authorised person over 18 years of age will be required to be at the premises on the day of the appointment. After you submitted your NBN Bundle application to TPG, our service delivery team will do an assessment on your address and determine if an NBN installer needs to visit your premises. If your premises have an active NBN service connected previously then it is unlikely that you would require technician's visit. If an installation appointment is required, you or an authorised person over 18 years of age will be required to be at the premises on the day of the technician visit. After you have submitted your order, TPG will confirm if an installation appointment is needed. If so, TPG will organise this and contact you with the appointment details. On the installation day, an NBN Co installer will come to your premises to install the necessary equipment. When the installer arrives at your property, ensure you check their ID before letting them inside, to ensure they are a contracted NBN technician. The installer may need to drill a small hole through your wall. The NBN Co Installer may need to run cable into your premises may require the digging of a small trench, or, if it's coming from overhead, some minor clearing of vegetation. NBN Co has a strict "leave it as it's found" policy so there is no need to be concerned about any permanent damage to your property. Also remember, some furniture may need to be moved and some drilling work might be required to mount the equipment, so be prepared for noise and dusts. Some places might not be possible due to safety or other considerations such as if there is additional wiring work required. You can track the progress of your installation here. If an installation appointment is required, you or an authorised person over 18 years of age will be required to be at the premises on the day of the technician visit. After you have submitted your order, TPG will confirm if an installation appointment is needed. If so, TPG will organise this and contact you with the appointment details. When the installer arrives at your property, ensure you check their ID before letting them inside, to ensure they are a contracted NBN installer. The next step is for your installer to complete the copper cabling and check that your premise is properly connected to the NBN. Your NBN installer will physically connect the FTTC connection to the NBN network and in most cases install the NBN Connection Device (NCD) in your premises. The NBN installers are not required to install any further equipment. However, you can ask the installer on the day if they can customise the installation of your NBN equipment (additional charges apply). Click here for more information on your NBN installation. 1GB (Gigabyte) = 1000 MB (Megabyte). Unused usage quota forfeited each month. 1Consists of peak (8:30am - 2:30am) and off peak (2:30am - 8:30am) monthly usage quota. Speed will be shaped to 128Kbps/128Kbps for the period in which the monthly usage quota has been exceeded (peak and/or off peak). Downloads and uploads counted. TPG may, on giving you 7 days notice by email, adjust the start/finish (but not the length) of peak/off peak times. NBN services require a backup battery unit to keep power going to your NBN Network Termination Device in the event of a power outage so that some elements of your telephone service can continue to operate for an estimated period of time of about 5 hours during the power outage. TPG NBN service does not include the supply of a backup battery unit. This means during a power outage, you will not be able to make or receive any calls, including calls to emergency services. Please ensure that you have an alternative method to make calls such as a mobile phone. TPG Voice Service on NBN FTTN, FTTB, FTTC, Cable (HFC) and Fixed Wireless is a Digital Voice Service which is delivered using Voice over Internet Protocol (VoIP) technology. Digital Voice Service requires a broadband connection and power to the Wi-Fi modem router supplied by TPG. If there is a broadband connection outage in your premises due to power or other faults, the Voice Service will not work and you cannot make phone calls including "000" emergency calls. TPG Voice Service supports fax to national numbers in the Telstra, Optus, AAPT and Primus PSTN network. Fax to international numbers is not reliable and VoIP based fax is not supported. This plan does not support the Priority Assistance Scheme. TPG Voice Service does not support old dial up technology devices with built in modems such as EFTPOS, Back to Base Alarms and Foxtel Program purchase. These devices have been replaced by Internet Protocol (IP) enabled devices and many TPG customers are able to use EFTPOS, Back to Base alarms and Foxtel Program purchase through the internet provided that their devices are IP enabled. For further details on IP enabled devices contact your device supplier. TPG Voice Service also does not support analogue modems, Priority Assistance Scheme, calls to 19/1900, 0500 numbers and Universal International Freephone Numbers (UIFN). Once an NBN Business bundle plan is purchased, you cannot separately cancel either component (NBN Broadband or Voice Service). Cancellation will cease both services. You cannot purchase either TPG NBN Broadband or TPG Voice Service as a standalone service. At registration time, you can choose to port your existing number to TPG or have TPG supply a Direct Inward Dial Number (DID) for use with the TPG Voice service. This number will be allocated to you based on the address which you provide us at the time of registration. TPG will make use of your number as a reference point to charge for local calls. TPG will use its best endeavours to supply the Integrated Public Number Database (IPND) with your address details for the purpose of emergency services (000) calling. You can port (transfer) your phone number from Telstra, Optus, AAPT, Primus or Powertel to TPG. We may not be able to port your number in all circumstances, including where you fail to provide correct account details, or as a result of contractual obligations with your existing provider. If you are porting your number to TPG, inbound calling to your number will not commence until porting is complete which will take a further 1 to 5 business days. Charges for calls are not included in the NBN M Business Bundle and will be charged at listed TPG rates on a 'pay as you go' basis and deducted from your Prepayment. Calls to 19/1900 numbers are not supported. The NBN L Business Bundle allows you to make unlimited Local Calls and unlimited Standard National Calls to Landlines, excluding 13/1300 Calls. Calls to 19/1900 numbers are not supported. Charges for calls made that are not included in the bundle (e.g. calls to 13/1300, AU Mobile numbers and Directory Services) will be charged at listed TPG rates by deducting usage charges from your Prepayment. The NBN XL Business Bundle allows you to make unlimited Local Calls and unlimited Standard National Calls to Landlines, excluding 13/1300 Calls. Calls to 19/1900 numbers are not supported. Charges for calls made that are not included in the bundle (e.g. calls to 13/1300, AU Mobile numbers and Directory Services) will be charged at listed TPG rates by deducting usage charges from your Prepayment. The NBN XXL Business Bundle allows you to make unlimited Local Calls, unlimited Standard National Calls to Landlines (excluding 13/1300 Calls) and unlimited calls to Standard Australian Mobiles. Calls to 19/1900 numbers are not supported. Charges for calls made that are not included in the bundle (e.g. calls to 13/1300 and Directory Services) will be charged at listed TPG rates by deducting usage charges from your Prepayment. All TPG services are prepaid. You must pay the monthly recurring charges in advance. In addition, you must make a prepayment for usage that is not within the included value (if any) for the plan that you have acquired. Your initial prepayment will be $20. After registration, you may nominate how much you wish to prepay but the minimum prepayment is $20. The prepayment will be debited from your nominated bank account or credit card. By acquiring and continuing to use the service, you agree to an automatic top up of your prepayment. The top up will occur when the amount of prepayment falls to below $10. When that happens, TPG will debit a sufficient amount from your bank account/credit card to restore your nominated prepayment amount. If your usage is high, this can occur more than once per month. You authorise TPG to make such debits to your account/credit card. If you do not exceed the Included Value and do not incur any charges that are excluded from your plan, there will be no automatic top-ups. We will send you messages about your usage and the debits during the month. Your service will become inactive if our attempts to debit credit card/bank account to top up your prepayment are unsuccessful. If you do not use the prepayment, it will be forfeited to us when you cancel the service. You agree that no bill will be provided for this service and that direct debiting of your account or charge to your credit card may occur notwithstanding that no bill is provided and that it may occur even though you may not have had the opportunity to check charges at least 10 working days before the debit. After you have submitted your order, TPG will confirm if an installation appointment is needed. If an installation appointment is needed, TPG will organise this and contact you with the appointment details. You or an authorised person over 18 years of age will be required to be at the premises on the day of the appointment. For more information, please click here. Monthly access charges are billed monthly in advance. Payment options are Direct Debit or Credit Card. NBN Business plans come with Static IP address. TPG's free IPTV service is not supported on TPG NBN Broadband plans. A 4 Port Wi-Fi Modem is included in your NBN Business Bundle. $10 Delivery fee applies if equipment is not collected from TPG's Head Office. Unlimited download and upload - suitable for high volume sending and receiving of emails, downloading data, transferring large files including graphic rich content, high quality video & audio and applications. 20 email accounts and 30MB web space. Choose to port your existing number or have TPG supply a new number. Cheap Local, National and International Calls. View call rates. Get enhanced features such as Call Barring, Number Display, Call Line Identification and Call Waiting at no extra charge. * Important: An additional once off $300 nbn™ New Development Charge will apply if you are moving home and the premises you are moving to is identified by nbn™ as being within the site boundary of a new development. If you are moving to NBN and you are getting a new phone number, once your service relocation is processed we will charge you $20 as Prepayment Outside Included Value for your new number and any applicable fee for add-on/bundled service. Any unused Prepayment for your old phone number will be credited back to your account 3 days after the relocation has completed. # You will be allocated a new TPG username. A new phone number will be assigned based on the address of your new location. ^ You will be allocated a new TPG username. TPG NBN Broadband customers are not able to change their plan to a TPG ADSL2+/ADSL services. ^ The early termination charge is 50% of the monthly charges that would have been paid between the date of cancellation and the end of the contract period, up to a maximum of $350. Note: Once an NBN Bundle plan is purchased, you cannot separately cancel either component (NBN Broadband or Home Phone/Digital Voice service). Cancellation will cease both services. You cannot purchase either TPG NBN Broadband or TPG Home phone/Digital Voice service as a standalone service. nbn™ New Development Charge applies if your premises is identified by nbn™ as being within the site boundary of a new development. The above fee applies if you give TPG less than 3 working days notice of any change in installation appointment prior to the scheduled appointment communicated by TPG to you. The National Broadband Network (NBN) is a national communications infrastructure currently being built by NBN Co on behalf of the Federal Government. When is the NBN coming to my area? When can I sign up for TPG NBN service? You can sign up to TPG NBN service when it is available in your area. To check availability, please visit TPG NBN Availability Checker. Do I have to switch to the NBN? If you live in an area where NBN has been rolled out and you wish to keep your landline or Internet service, you will need to switch to the NBN before the copper based services in your area are disabled. This may occur about 18 months after NBN becomes available in your area. Are the speeds provided by the NBN guaranteed? Actual throughput speeds may be slower and could vary due to many factors including type/source of content being downloaded, hardware and software configuration, the number of users simultaneously using the network and performance of interconnecting infrastructure not operated by TPG. Devices connected by Wi-Fi may experience slower speeds than those connected by Ethernet cable. What are the various access technologies used by the NBN? The rollout of the NBN network uses a mix of access technologies to deliver a fast and reliable internet service, wherever you live in Australia. The type of access technology that will connect your business to the NBN network will depend on your location. Fibre to the Premises (FTTP): FTTP delivers fast broadband by running fibre-optic cable from a fibre node directly to the end-user premises. Fibre to the Node (FTTN): FTTN is a way of delivering access to fast broadband by running fibre-optic cable to a neighbourhood node/cabinet and from there using the existing copper network to the end-user premises. Fibre to the Building (FTTB): FTTB is a way of delivering access to fast broadband by running fibre-optic cable to the basement of multi-dwelling units such as apartment blocks and from there using the existing copper wire to the end-user premises. Fibre to the Curb (FTTC): FTTC is a way of delivering access to fast broadband by running fibre-optic cable to an outdoor pit near the end user's premises and from there using the existing copper network to the end-user premises. Cable/Hybrid Fibre Coaxial (HFC): HFC is a network technology that allows access to fast broadband services using a combination of fibre and coaxial cable to connect your home to the NBN network. What speed options can TPG NBN provide? #Typical Business Hours Download Speed is measured between 9am and 5pm. The actual speeds for the service may be slower and vary due to many factors including type/source of content being downloaded, hardware and software configuration, the number of users and performance of interconnecting infrastructure not operated by TPG. Devices connected by Wi-Fi may experience slower speeds than those connected by Ethernet cable. For FTTB, FTTN and FTTC customers, we will inform you of your maximum line sync speed once available. If you are on a higher speed NBN plan, you have the option to downgrade to a lower speed plan without any penalties. A Static IP address is a permanent address assigned to your internet connection. Businesses find this type of IP address very useful because other devices would know exactly how to contact a device that uses a static IP. It is common to have a static IP when you host your own website, have a file server in your network, are running a print server or need to remotely connect to your PC among others. All TPG NBN Business services come with a Static IP included. Can I get TPG NBN? If you are an existing TPG ADSL2+ customer and interested in the NBN service, call our Customer Service on 1300 365 313. Will TPG supply me with a router to work with the NBN? Yes, TPG NBN plans include an NBN ready 4 ports Wi-Fi modem, a $10 delivery fee applies. How long will the installation of my NBN service take? Installation of NBN service can take between 2 to 30 working days depending on the demand of NBN services in your area and the availability of the NBN Co technician to perform the installation. Will TPG notify me of the installation date during the application process? Yes. You will be sent an email notification confirming the installation date and timeframe. We will also notify you if a technician appointment is required to install your NBN service. Is a technician appointment required to install the NBN service? Our service delivery team will do an assessment on your address and determine if an NBN installer needs to visit your premises. If your premises have an active NBN service connected previously then it is unlikely that you would require technician's visit. On the installation day, an NBN installer will come to your home to do the necessary work. What will happen on the day of installation if a technician appointment is required? When the installer arrives at your property, ensure you check their ID before letting them inside, to ensure they are a contracted NBN technician. The next step is for your installer to complete the installation. Will my TPG NBN service work when there is a power failure? TPG NBN service does not work during a power outage, you will not be able to make or receive any calls, including calls to emergency services. Please ensure that you have an alternative method to make calls such as a mobile phone. What is my Network Boundary Point? TPG is responsible to deliver the service to the Network Boundary Point. The Network Boundary Point is dependent on the NBN access technology used to deliver the service. FTTN/FTTC: Your first Telecommunications Outlet which can be the first wall socket in a free standing premises (e.g. house) or your side of the Main Distribution Frame (MDF) in a multi dwelling unit (e.g. apartment). FTTP: Your side of the user network interface on the NBN Co’s provided NBN Connection Box (or Network Termination Device). FTTB: Your side of the Main Distribution Frame (MDF). This is a small telecommunications room in a common area within your block. HFC: The UNI-D port on the NBN Connection Box installed inside your premises. I have NBN with another provider. Can I get NBN from TPG? Yes. You can make a new application with TPG and then cancel your existing service with the other provider (cancellation charges may apply with your other provider). Can I port (transfer) my existing phone number to TPG? You can port (transfer) your phone number from Telstra, Optus, AAPT, Primus or Powertel to TPG. We may not be able to port your number in all circumstances, this includes failure to provide account details, or contractual obligations with your existing provider. If you are porting your number to TPG, inbound calling to your number will not commence until porting is complete which will take additional 1 to 5 business days after your TPG NBN service is installed. Can I use my existing telephone handset and phone wall socket for TPG Voice service? You can use your current telephone handset, however it will have to be plugged into the VoIP port on the supplied Wi-Fi Modem Router using a standard telephone cable. You can use your current telephone handset, however it will have to be plugged directly to one of the UNI-V ports on your NBN Connection Box (NTD). When your NBN service is activated, we will advise you of which port to use. If you wish to connect your phone to an existing wall socket, you should check if your in-premises wiring is connected to the NBN service. If it is not connected to NBN, you may need to install additional permanent phone or data cabling through wall, floor or ceiling cavities which must be done by a cabler registered with an Australian Communications and Media Authority (ACMA) accredited industry registrar. To be able to port my number, what information do I need to provide? You will need to provide your current Account Number provided by your current phone provider. This can be found on any bill you receive from your phone provider for your phone service. Providing an incorrect Account Number may result in delays with the porting process and lengthen the period in which you will not be able to receive any incoming phone calls. Can I keep the phone number assigned by TPG when I no longer want to have the Voice service with TPG? You need to check with the new or gaining provider if they are able to port from TPG. While my phone number is being ported to TPG, can I still make outgoing calls? Yes, as soon as TPG NBN Bundle service has been installed, you will be able to make outgoing calls from your TPG Voice service. TPG will charge you for any call usage. However, inbound calling to your number will not commence on TPG Voice service until porting is completed which will take an additional 1 to 5 business days after your TPG NBN service is installed. What Spend Management Tools does TPG offer? For your Voice service, you can monitor your actual usage (in near real time), bar outbound calls of various types, and make use of other spend management tools, all via the My Account section of the TPG Website at no charge. For more information about using these tools, please contact Customer Service on 1300 365 313. Once the TPG Digital Voice service is installed, are there any services that will not work on my line? TPG Voice does not support old dial up technology devices with built in modems such as EFTPOS, Back to Base Alarms and Foxtel Program purchase. These devices have been replaced by Internet Protocol (IP) enabled devices and many TPG customers are able to use EFTPOS, Back to Base alarms and Foxtel Program purchase through the internet provided that their devices are IP enabled. For further details on IP enabled devices contact your device supplier. TPG Voice also does not support analogue modems, Priority Assistance Scheme, calls to 19/1900, 0500 numbers and Universal International Freephone Numbers (UIFN). Can I watch Foxtel if I have TPG NBN FTTN bundle service? Yes, watching regular Foxtel programs is not affected by TPG NBN Bundle service. Regular Foxtel programs use an entirely separate connection from your NBN or Voice connection. Does Foxtel on Demand or program purchase work with TPG NBN bundle service? If you have the latest Foxtel set top box, you can purchase and download programs using the Ethernet connection in the set top box to connect via TPG NBN service. This is even better if you have TPG Unlimited NBN plan as you do not have to worry about your Broadband monthly usage quota when you download Foxtel on Demand programs. If you have the older Foxtel set top box without an Ethernet connection, program purchase through your landline will not work with TPG Digital voice. We suggest you contact Foxtel about upgrading your set top box. Once I register for NBN Bundle, can I cancel the NBN broadband or Voice service component? No, NBN broadband or Voice service cannot be cancelled separately. Since NBN with Voice is a bundle plan, cancellation will cease both services. Can I have TPG's Voice Service only (without NBN)? No, TPG Voice service can only be ordered as a bundle with NBN. Do I need to call my current provider to cancel my existing home phone service or Internet? Once an NBN with Voice service has been activated, if you currently have any existing services such as phone or internet at your premises, you will need to contact your current provider to have these services cancelled to ensure you do not receive any further bills. TPG recommends you check with your current phone and/or internet service provider regarding contractual commitments and termination/disconnection fees associated with your current services. TPG is not responsible for these charges. If you are also porting your existing phone number to TPG, do not cancel your phone service until the number has been ported. How am I charged for TPG NBN Bundle plans? Monthly access charges (include NBN Broadband monthly charges and Voice service monthly charges) are billed monthly in advance. How do the mobile and national call caps work? Take advantage of some fantastic savings with our National Cap and National Mobile Cap. Can I receive Reverse Charge Calls/Collect Calls using TPG's Voice service? No, TPG Voice does not support the receiving of Reverse Charge Calls/Collect Calls. Can I view my TPG Voice call usage online? Yes. You can view your outgoing call usage online by logging into 'My Account' at www.tpg.com.au/account. Can I use TPG Voice for local calls only and choose another provider for other calls (national long distance, international, calls to mobiles)? No. TPG Voice is full service including line rental, local, national, international and home to mobile calls. Customers must not preselect to another carrier or use the TPG Voice service to make override calls on a third party network. Will I receive paper bill? No. You can view the current and previous bills online by logging into the 'Your Account' section on the TPG website (www.tpg.com.au). It’s simple and secure. Select 'Your Account Statement' under 'Account Management'. What is nbn™ New development Charge? On New Development Charge is a one-time charge of $300 to all new orders for services in new development locations. This charge is a contribution in a new development to the infrastructure cost of the nbn™ network. We will inform you during the registration process if the New Development Charge applies to your premises. Can I keep all the same specific services and features when I change my phone company to TPG? TPG Voice offers a range of free standard features e.g. call barring, call waiting, call forwarding. However there may be some specific services on your existing line that are incompatible with TPG Voice. Click here to view the call features and service we offer. How do I activate the standard features like call barring and call waiting? Please follow the steps below. Can I forward/divert calls to international numbers? No, call forwarding to international numbers is not supported. How is the Call Forwarding feature charged? Standard call rates apply to forwarded calls. If you have local, national or mobile calls included in your plan, call forwarding is included as part of your plan as explained below. NOTE:Call forwarding to international numbers is not supported. Will my phone number be listed in the directory when I port my number across from my current phone provider to TPG? Your directory listing (if any) from your previous provider may or may not be carried across to TPG. TPG will not list your number by default, however customers may choose to list the number in the directory by logging into Your Account section after their account with TPG is active. How do I list my TPG Voice number in the directory? Please follow the instructions below to register your existing TPG phone number in the Directory Listing. I am an existing TPG NBN customer, what should I be aware of during relocation? We can provide TPG NBN plan to your new location if TPG NBN is already available in that area. However you will be required to select a new TPG username for the NBN service at your new location. How much does a relocation cost? Please refer to our NBN Additional Pricing. What if I am relocating to a location where TPG does not offer NBN? We may be able to offer other products that are available in your new location. Standard NBN relocation fee applies. Can I change my NBN plan? You can only change plan (upgrade/downgrade) within TPG NBN service. TPG NBN Bundle customers are not able to change their plan to a TPG ADSL2+/ADSL services. Please refer to our NBN Additional Pricing. Is there any cancellation fee if I cancel my TPG NBN service? There is no cancellation fee if you are out of contract or in a no lock-in contract term. You may cancel the service by giving TPG at least 30 days written notice. You must pay for the service until the end of the notice period. Cancellation fee applies if you are still currently in a contract. The cancellation fee is 50% of the monthly charges that would have been paid between the date of cancellation and the end of the contract period, up to a maximum of $350. I am an existing TPG ADSL2+ customer. Can I switch to TPG NBN plan? If you are an existing TPG ADSL2+ customer and interested in the NBN service, please call our Customer Service on 1300 365 313. 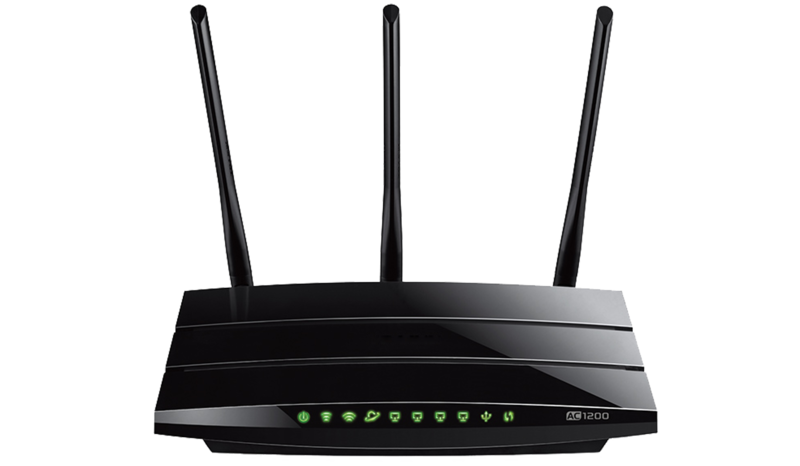 Do I have to return the included Wi-Fi Modem Router if I cancel my service? No, the modem is yours. Please wait while we determine the best product at your address.